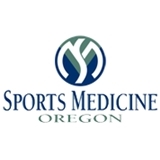 Sports Medicine Oregon (Wilsonville) - Book Appointment Online! ***NEW PATIENTS, PLEASE COMPLETE YOUR REGISTRATION BY INCLUDING YOUR MAILING ADDRESS AND INSURANCE INFORMATION*** ***FOR EACH APPOINTMENT: PLEASE LIST WHICH BODY PART YOU ARE NEEDING TO BE SEEN FOR, IF YOU HAVE HAD A RECENT INJURY, IF YOU HAVE HAD ANY RECENT IMAGING, OR HAVE SEEN ANY OTHER DOCTORS FOR THIS ISSUE. *** Sports Medicine Oregon treats a full range of orthopedic problems, and our board-certified, fellowship-trained orthopedic surgeons keep current on the newest advances in orthopedic care including joint replacement surgery, minimally invasive arthroscopic surgery, cartilage restoration procedures, and non-operative treatment modalities. We are committed to making your treatment as easy on you as possible.